Karin Bruckner was born in Switzerland and received her education in Switzerland, Germany and the United States. She holds a Master of Architecture degree from the Technical University in Munich and a Master of Science in Architecture and Building Design from Columbia University in New York, where she has lived since 1988. After working as an architect for Richard Meier & Partners and Philip Johnson Architects in NY she returned to her passion for art. 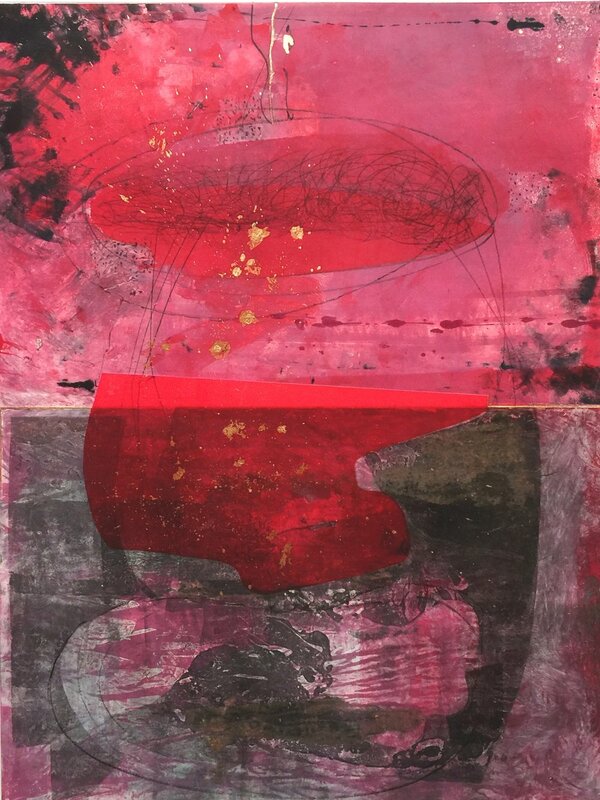 Printmaking became a focus in Karin Bruckner’s work in 2006. She found the medium a congenial way of creating art given her professional background in architecture. Its unique combination of creative flow and process requires a structured, sequenced way of thinking in layers, shapes and colors not unlike architectural plans. Over the years, constant experimentation has propelled Karin’s unique monoprints from a graphic into a more painterly direction, incorporating paper lithography, etching, collagraph, chine collé and viscosity techniques to achieve thoroughly embedded and complexly layered visual landscapes of considerable depth. 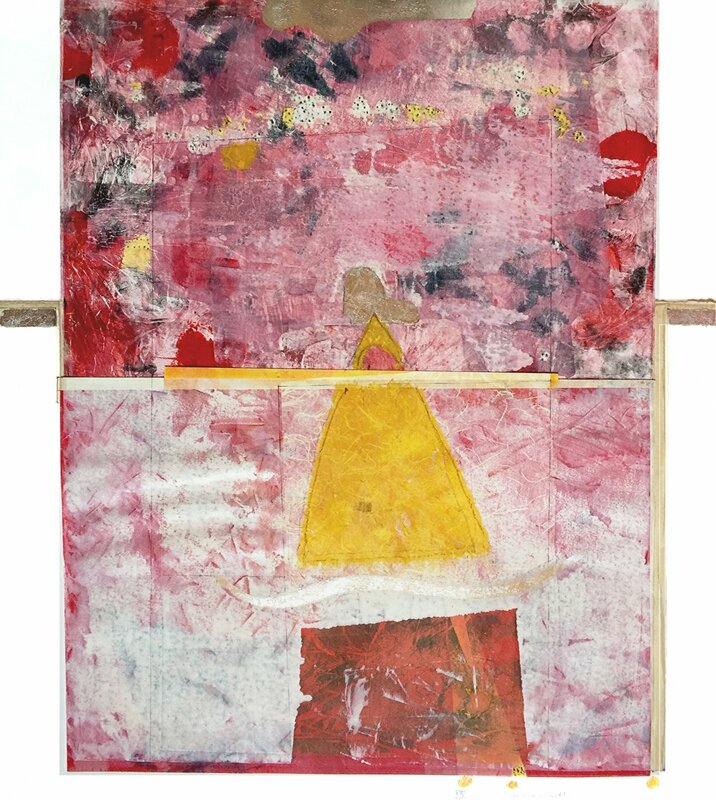 Karin’s work is process driven, responding to the materials and techniques at hand, resulting in a widely varied yet distinctive portfolio. At the core of the dialogue between the artist and the work is an attempt to push the medium of printmaking to its limits, straddling the lines between printmaking, drawing, painting and collage. 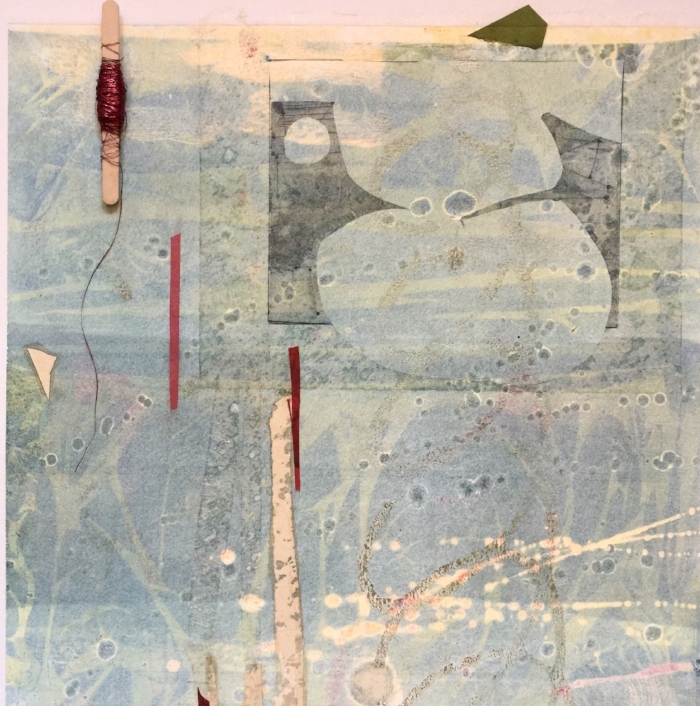 Printmaking carries with it the element of surprise and the inevitability of the “happy accident” which Karin credits for immensely expanding her artistic sensibilities. The work evolves and resides in the space created by Pull and Push. Bruckner’s work has sold worldwide and is in private collections in Europe, South America, Australia and the United States. Karin is a featured artist at Susan Eley Fine Art Gallery, NY and has been featured by West Elm as well as online venues such as Art Crasher, Fresh Rag, Refinery 29, the UGallery blog, and the Printsy blog on Etsy.